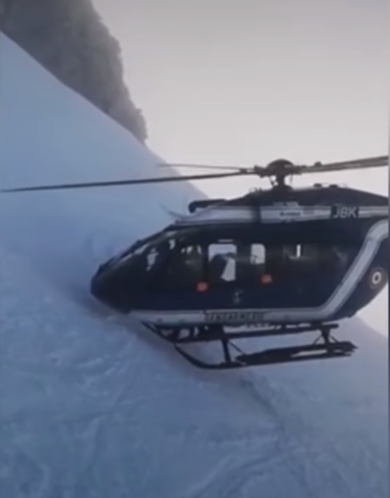 Dramatic footage shows a daring mountainside rescue in the French Alps earlier this month. After a skier was injured on the slopes, a French Mountain Police helicopter flew in to assist. The pilot was able to plant the aircraft’s right landing skid into the snowy incline so the rescue team could help the skier.